Jaded Blossom: Your the only fish for me! 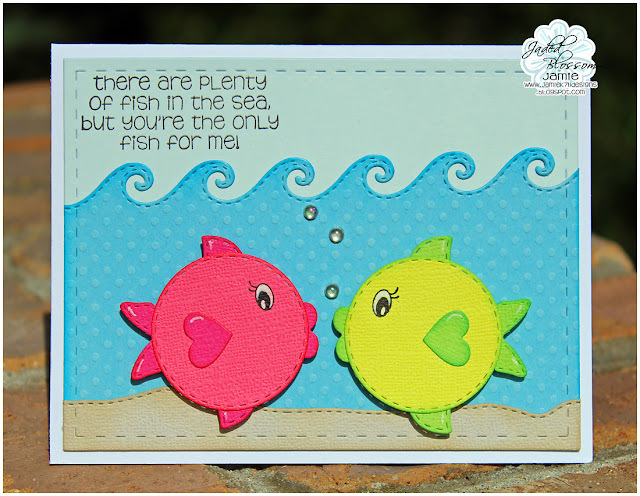 Jamie here and I have a card to share using this month's Spotlight set Fish On! I used a ton of dies to create this card along with a sentiment from Fish On! I used the Card Mat Dies and Tropical Dies for the background. 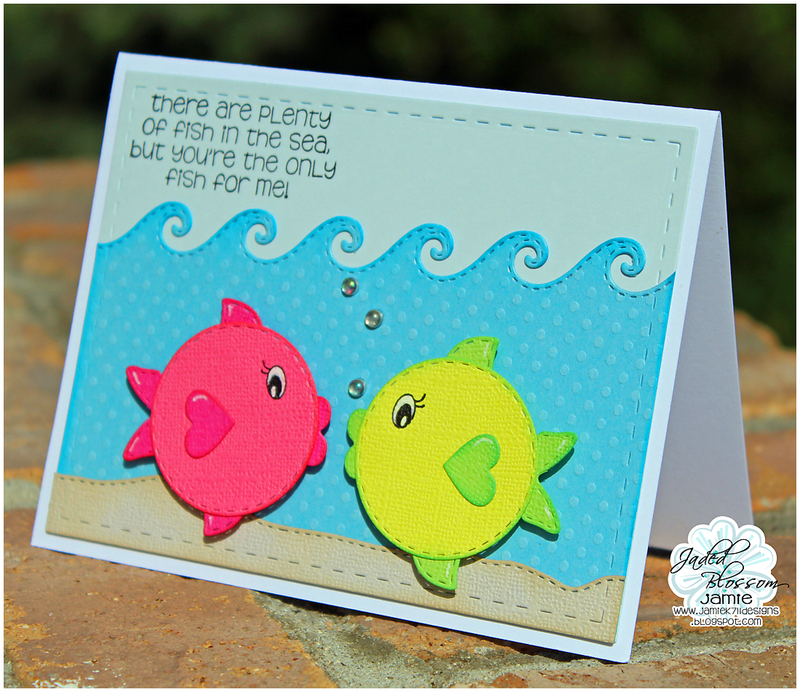 Then to create the fish, I used Spring Dies 2. The circle from the sun and 2 butterflies to create the fins. Last I used Valentine Dies to create the lips and the fin on the front. Super cute card! Love how you created the puffer fish with other dies in your shop. Awesome idea. Just wanted to say again how darn adorable this is! !